Steve McQueen made his mark on Hollywood with 12 Years a Slave which took home Academy Awards for Picture, Supporting Actress and Adapted Screenplay. Took a few years, but he finally followed up with Widows, a deliberately paced crime-drama-thriller which was one hell of a ride. The plot begins following a botched heist that resulted in the death of Harry Rawlings (LIAM NEESON), his crew (which included JON BERNTHAL who seems to like to take these small roles; see: Baby Driver) and the $2 million they stole which went up in a hail of gunfire from perusing cops and an explosion. 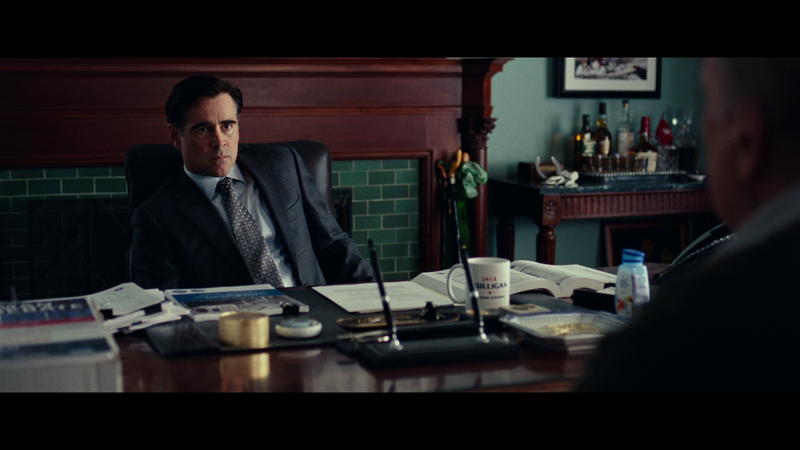 Problem is, the money was stolen from one Jamal Manning (BRIAN TYREE HENRY) who is running for election to represent the 18th ward in Chicago against Jack Mulligan (COLIN FARRELL), who is part of a legacy of political leaders, including his aging father (ROBERT DUVALL). Now Manning wants his money, threatening Harry’s widow, Veronica (VIOLA DAVIS) while is psychopathic brother (DANIEL KALUUYA) keeps a close eye. Unable to pay him off, since everything is in her deceased husband’s name. She does discover a safety deposit box containing Harry’s notebook with his criminal activities, including his crew’s next job. In order to get out from under the pressure, Veronica recruits her husband’s crew’s widows: Linda (MICHELLE RODRIGUEZ) and Alice (ELIZABETH DEBICKI) to try and pull off a heist worth $5 million. In need of a driver, Linda brings in single mother, beautician and babysitter, Belle (CYNTHIA ERIVO). The film delves a bit with Chicago politics, the plight of the lower class in the ward and the political dynasty of the Mulligans, with the younger butting heads with the older, who is more about keeping power within the family rather than helping their constituents. There are really no ‘good’ guys in the film, even our heroine played by Viola Davis isn’t, at least initially, all about helping her fellow widowers, while also dealing with her personal grief, not just the death of her husband, but that of her son, killed by police during a traffic stop. 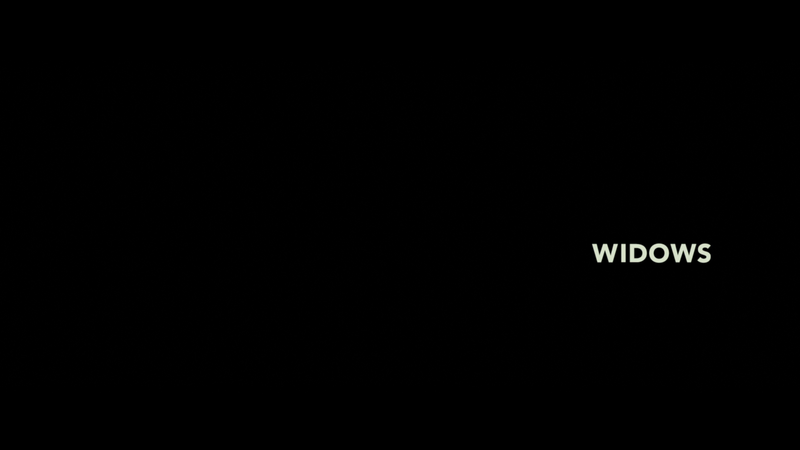 What was most interesting about Widows was that the heist, or planning at least, thankfully took a backseat to develop the main characters, their dynamic and their own personal lives. The highlight, unsurprisingly, was another strong performance from Academy Award winner Viola Davis, who no matter what movie she’s in or how weak (Suicide Squad) or strong (Fences) the script is, she is a force. The supporting actors do fine work as well. Michelle Rodriguez does have a character with more depth than any of the Fast and the Furious movies; Elizabeth Debicki was charismatic with an abused character; Colin Farrell is in good form in a complex role being both semi noble while also ruthless; Robert Duvall acts his guts out as a callous old man; and Liam Neeson is especially coldhearted as the movie unfolds; though it is hard to ignore his recent comments/admissions in contrast to playing a character in a bi-racial marriage. 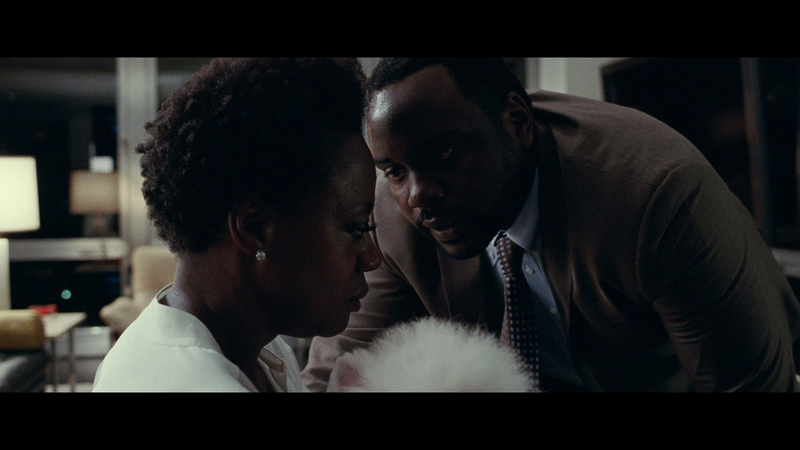 Widows is a fast-paced thriller yet also an effective character drama that features some creative direction from Steve McQueen combined with great acting, led way by Viola Davis turning in another powerful performance. This is well worth at the very least a rental. This release comes with a semi-glossy slip cover and inside is a redemption code for the Digital HD copy as well as the DVD. All bonus material is in HD. Widows Unmasked: A Chicago Story (52:10) – This is a lengthy behind-the-scenes featurette split into three parts (Plotting the Heist: The Story, Assembling the Crew: Production and The Scene of the Crime: Locations) with interviews by the cast (including Viola Davis, Michelle Rodriguez, etc) and crew (Steve McQueen, Gillian Flynn and others). 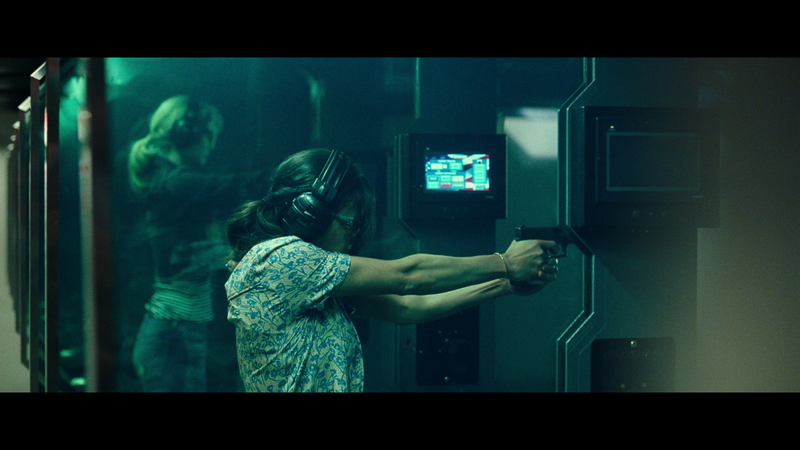 Gallery (1:58) filled with production stills and the Theatrical Trailer (2:01) are also included. 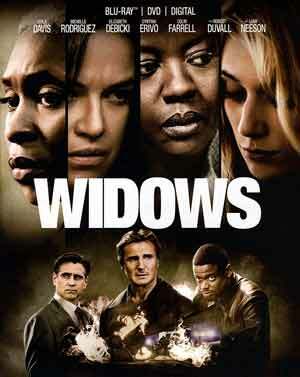 Fox releases Widows onto Blu-ray presented in its original 2.39 widescreen aspect ratio and given a 1080p high-definition transfer. The bulk of the movie isn’t exactly brightly lit but black levels are fairly stark with no noticeable grain or specs and detail appears sharp throughout. There are some splashes of color during the daytime or well-lit scenes, however and all in all, is a nice looking transfer. I know I’m a broken record at this point, where the 4K comes with a Dolby Atmos track, the Blu-ray is equipped with a DTS-HD Master Audio 7.1, but even so, it’s a well rounded lossless track showing off some good depth for both the action-centric moments, starting out with the opening heist sequence, to the quieter scenes where you can detect the ambient noises coming via the rear channels, as well as Hans Zimmer’s score. Overall, Widows is a well done and ultimately effective thriller from Steve McQueen that features some top-notch acting and an engaging story. This Blu-ray release offers a wonderful behind-the-scenes documentary to go along with the great video/audio transfers.